On July 30th, 1980, Neville Longbottom was born to Frank and Alice Longbottom. At the time they were both Aurors and members of the Order of the Phoenix. Not far after his birth, Neville’s parents were tortured by Death Eaters using the Cruciatus Curse, a fate that left them less than brain damaged and insane to forever live in the halls of St. Mungos. Because of this, Neville was raised by his stuffy old grandmother, Augusta Longbottom. That said, Neville was still in a loving home and his personality and demeanor reflected this. The only real difficulty came with him not showing any signs of magic as a young child. His family would often force the young Neville into situations to prove his magic, including almost drowning off the side of a pier once. Finally, when his great-aunt shoved him out of a two story window, by “accident” of course, he bounced. This eased his family’s mind and secured himself a place in Hogwarts School. His grandmother gifted him with his pet frog, Trevor, and he was shipped to the school. During his first year, Neville faced some tough times. He quickly fell behind in most of his classes, lacking the talent of his up and coming friends in Gryffindor. The hat had placed him there, though Neville had been fairly certain he would be part of Hufflepuff. His loyalty, along with a deep courage, said the hat, was why the young Longbottom had been placed there. Two things that Neville couldn’t really believe or understand right away. These fears were only reaffirmed when his grandmother gifted him with a remembrall which turned into a bit of a sore spot when Neville fell from his broom in the First Year’s broom class and broke his wrist. This series of events managed Neville to get wrapped up in a situation with Hagrid’s pet dragon and landed the unsuspecting boy in detention. The next time Harry and his friends attempted to sneak out, Neville stood up to them for both their own safety and his loyalty to his house. Hermione placed a full body lock curse on him, but he never held it against her. His rewarded house points, after all, pushed Gryffindor into winning the House Cup. Neville’s second year was, thankfully, far less eventful in a manner of speaking. While the mass amounts of drama and fear of the Chamber of Secrets, Neville was largely unscathed by the events. He did, however, stay loyal to Harry even when the entire school had decided he was the Heir of Slytherin. It was not in Neville to doubt his friend. 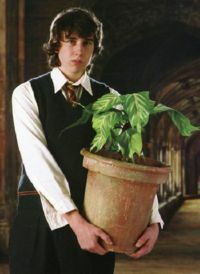 In his third year, Neville found a blossom of puberty in aid of his general mood and personality. His new Defense teacher, Professor Lupin, helped coax a more confident and stronger Neville Longbottom (even if by a slight bit). Even with Snape breathing down Neville’s back about his sluggish progress with his magical education, the young boy made leaps and bounds under Lupin and Sprout’s teachings. It was a slight dip in his year when he was blamed for Sirius Black’s entrance into the Gryffindor tower. He was banned from Hogsmeade for the rest of that year, but Neville simply spent those weekends in the green houses to make up for it. He did, regrettably, get a Howler from his grandmother over the ordeal, much to his embarrassment. In his fourth year, Neville strives to keep his grades afloat and his fears in check. Neville is a rather timid sort of creature. Shy and skittish are some of the most commonly used words when someone needs to describe Neville. He has a habit to not really speak his mind, or to at least sugarcoat his own opinions and thoughts in order to avoid too much attention. In most cases he’d rather shut up than speak aloud. He usually despises teachers calling on him in class, even in Herbology in which he usually knows the correct answer anyways. Along these lines, Neville is also easily spooked and bothered. He often takes things far more dramatically than they should be, and if situations are that drastic he’ll usually act fairly unreasonable. He’s quick to panic, fast to assume, and doubly trustworthy to forget grudges in a moment of friendly passion. Like his talent to be introverted, Neville often doesn’t stand up for his own battles. In a fight or flight situation, the fourth year, at least at this point in his life, would rather flee. But despite his cowardly trends, Neville is also a faithful and loyal friend. While he hardly ever rises to his own defense, when he does show a brave, Gryffindor interior it’s when he needs to be there for his friends. Good Hearted: Neville isn’t in any way a bad person. He doesn’t typically hold ill-will towards others unless the boy truly believes they deserve it. And even in that sort of case it’s few and far between. It’s a hard task to upset him enough for him to get violent or physical about it. Another large aspect of Neville's personality is that nothing is safe from Neville’s forgetful streak. From faces, names, to class assignments and spells. Onto of being forgetful, Neville is a fairly disorganized young man. He loses papers, library books, forgets appointments and deadlines. Neville relies heavily on his fellow classmates and friends to help him through this flaw. Despite some of his bigger traits being cowardly and excitable, he can also shine if the moment is right. When his friends are in trouble he’ll rise to the occasion and a part of Neville that isn’t typically shown comes out. "Ol' Neville Longbottom. A girl finally wants to go out with him and he gets zapped to another world. Figures." - In the Wrackspurts world. Neville is a rather timid sort of creature. Shy and skittish are some of the most commonly used words when someone needs to describe Neville. He has a habit to not really speak his mind, or to at least sugarcoat his own opinions and thoughts in order to avoid too much attention. In most cases he’d rather shut up than speak aloud. He usually despises teachers calling on him in class, even in Herbology in which he usually knows the correct answer anyways. Neville is easily spooked and bothered. He often takes things far more dramatically than they should be, and if situations are that drastic he’ll usually act fairly unreasonable. He’s quick to panic, fast to assume, and doubly trustworthy to forget grudges in a moment of friendly passion. Like his talent to be introverted, Neville often doesn’t stand up for his own battles. In a fight or flight situation, the fourth year, at least at this point in his life, would rather flee. Despite his cowardly trends, Neville is also a faithful and loyal friend. While he hardly ever rises to his own defense, when he does show a brave, Gryffindor interior it’s when he needs to be there for his friends. Neville isn’t in any way a bad person. He doesn’t typically hold ill-will towards others unless the boy truly believes they deserve it. And even in that sort of case it’s few and far between. It’s a hard task to upset him enough for him to get violent or physical about it. Nothing is safe from Neville’s forgetful streak. From faces, names, to class assignments and spells. Onto of being forgetful, Neville is a fairly disorganized young man. He loses papers, library books, forgets appointments and deadlines. Neville relies heavily on his fellow classmates and friends to help him through this flaw. Despite some of his bigger traits being cowardly and excitable, he can also shine if the moment is right. 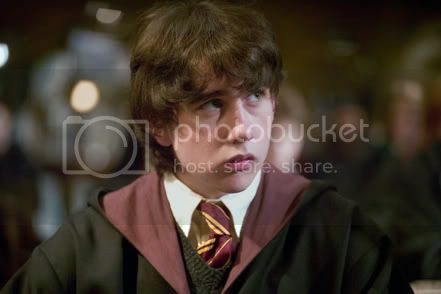 When his friends are in trouble he’ll rise to the occasion and a part of Neville that isn’t typically shown comes out. Neville is by all means a rather dumpy lad. He stands a bit tall and awkwardly so in his new found puberty, but the chub of his childhood still has a hold on his face and cheeks. He has a long, angled nose that sits below a pronounced and often furrowed brow. It's complimented with two unkempt eyebrows, and dark brown eyes. His hair is often flat on top, curly about the bottom, and overall messy, plus brown to match his eyes. His ears are large and doesn't fit to scale with much else of his features save his nose. Frank and Alice Longbottom Parents Neville never got the chance to meet his parents in any sort of normal ways. After a run in with Bellatrix Lestrange, they are hollow husks of the people Neville knows them to have been. He still visits them in St. Mungos. Harry Potter Best Friend Neville has know Harry Potter since their very first day aboard the Hogwarts train. Neville feels very loyal to his fellow 4th year Gryffindor. Hermione Granger Best Friend Hermione is a close and valued friend for Neville. She is the first person at Hogwarts that gave Neville the time of day, and her constant help in his studies is repaid in unwavering friendship and devotion. 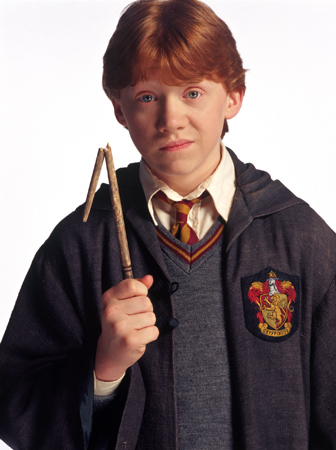 Ron Weasley Best Friend While perhaps not as close to Ron as Hermione or even Harry, Neville still holds the part of the famous trio in high regard. He knows he can rely on Ron when he needs. Fred Weasley Friend Out of the two Weasley twins, Neville is a bit closer to Fred Weasley. Even though the boy somewhat startles and makes Neville nervous half the time. Ginny Weasley Friend Even thought Ron and Neville aren’t as close, Neville has taken a fast liking to Ginny. He already considers her a friend and will confide in the youngest Weasley when the situation calls. Nia Fox Friend Despite her Slytherin status, Neville is glad to have Nia as his new friend. She's shown him kindness and friendship that Neville truly appreciates. Jackson Holland Friend Jackson is a few years younger than Neville, but he still is getting very attached to the young Hufflepuff. He helps him out in Herbology, which the boys share a love of, and that's a good hobby to share for Neville.